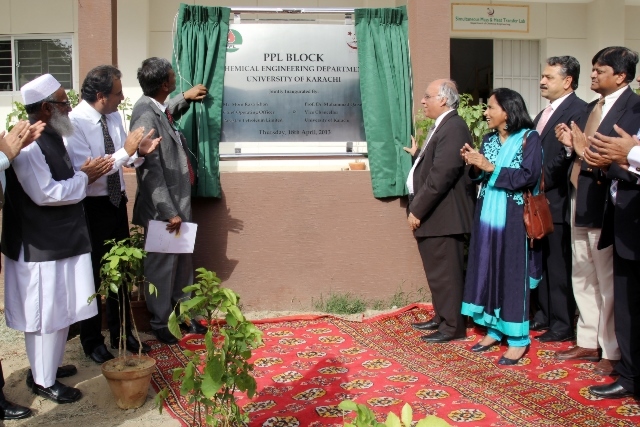 Pakistan Petroleum Limited (PPL) generously funded PKR 13.05 million to build and equip PPL Laboratory Block at the Chemical Engineering Department, University of Karachi that helped the Department in securing Pakistan Engineering Council (PEC) accreditation. The Department greatly appreciates timely grant by PPL. Industrial visits for all bathes is regular practice of the Department. Third /final year students, during vacations, have to undertake industrial internship to get hands on practical experience. Final year Design Projects are prepared in consultation with national and multinational organizations.